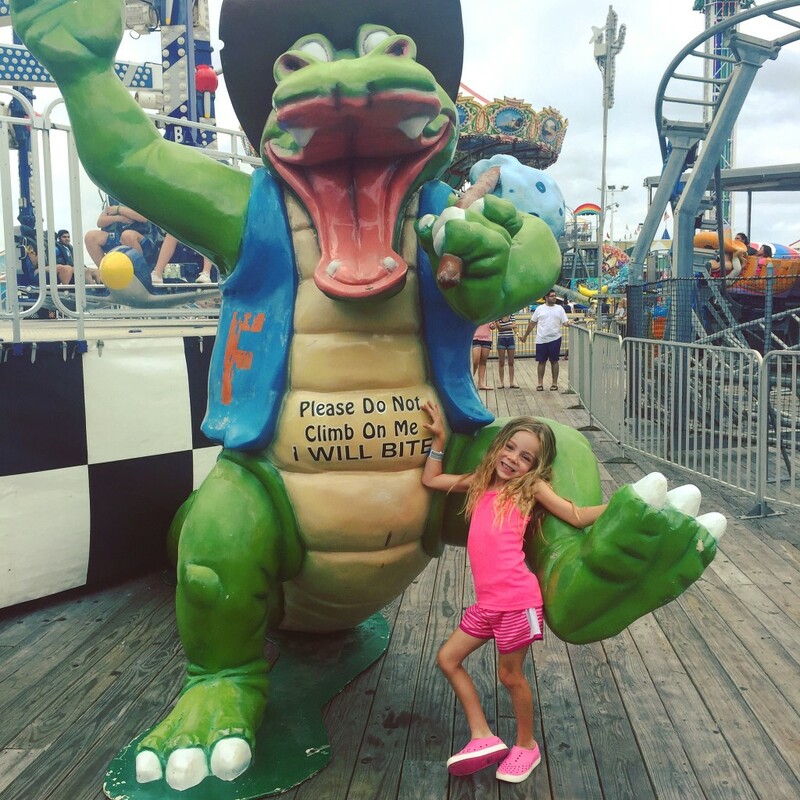 Whether you live in New Jersey or you are just visiting the Garden State, If you’re looking for a place to go for unbeatable fun you’ll want to visit one of the best family amusement parks around – Casino Pier & Breakwater Beach. 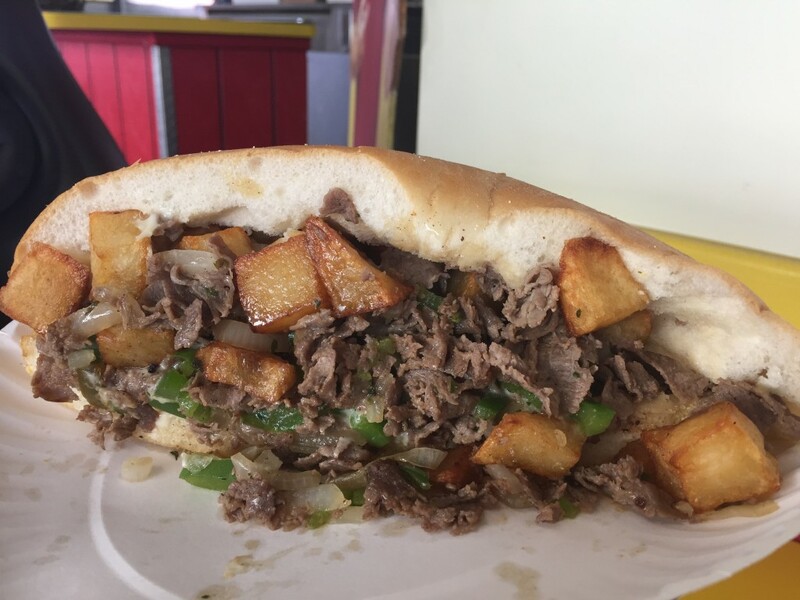 Not only are there exciting attractions, roller coasters, and plenty of fun for everyone but they have some of the best food and deserts around! We really enjoyed ourselves here because it was a perfect fit for our family of 5 that has a very large age gap. 15, 11 and 6. 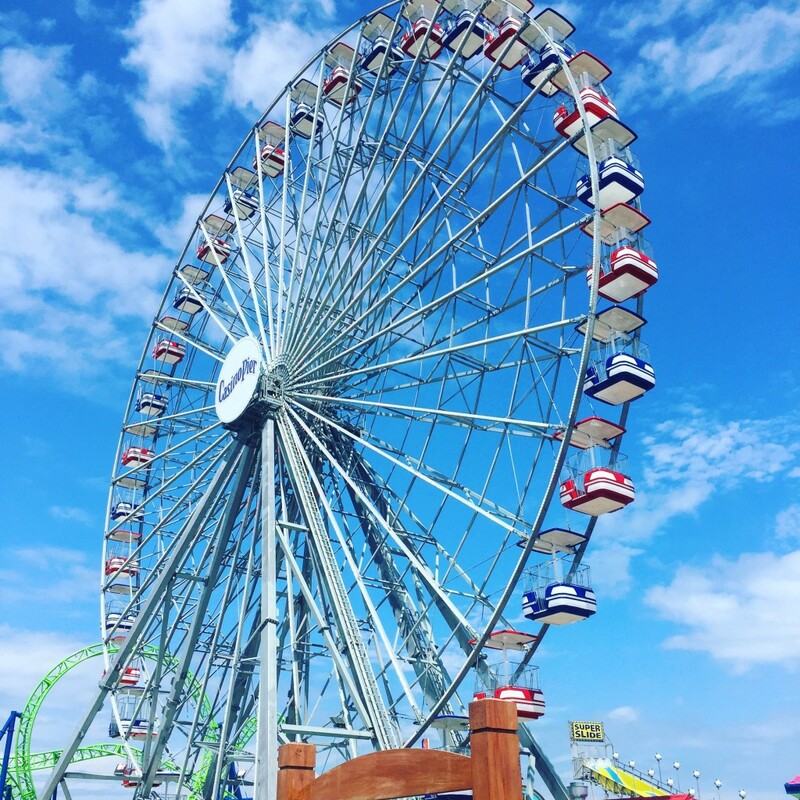 The Boardwalk is packed with games, rides, arcades, food stands, water park attractions, and a nearby beach making it one of the best places to visit in the summer. If swimming you must swim within the flags – green flags are good. If you drift past the flags the lifeguard will hail you in. They separate sections so people can fish along the ocean & so swimmers won’t get hooked. If you have with kids I recommend taking the ski lift from one end to the other and bringing coins or singles for skee-ball at the multiple arcades. There are also tons of photo ops all around the boardwalk! 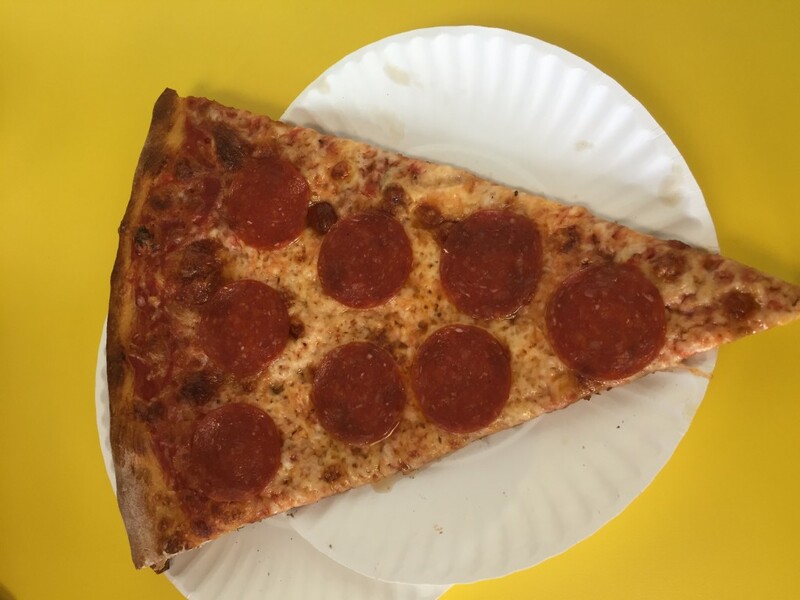 Get yourself a cheesesteak and a slice of pizza. Clams are also a big deal! 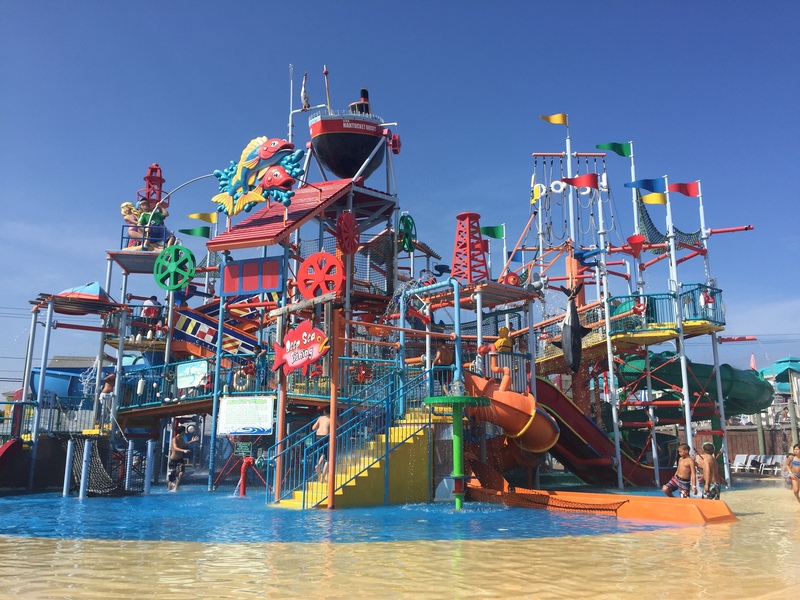 This a small but mighty water park packed with lots of wet and wild fun for the whole family. 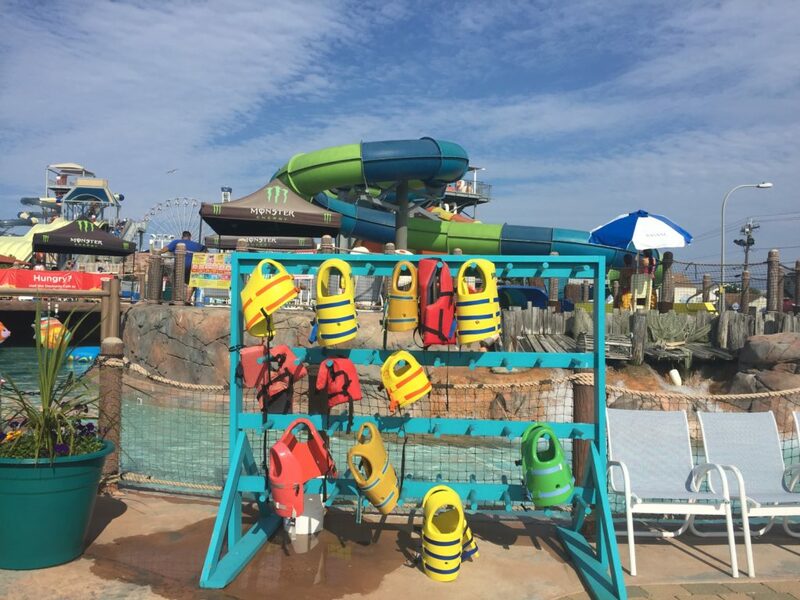 They have complimentary life vests for little ones and lockers to store your valuables in. 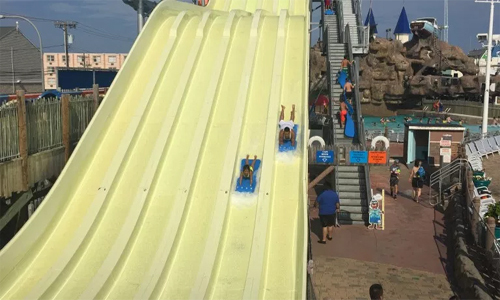 Patriot’s Plunge was a very popular attraction and it ‘s good because the whole family can race each other. 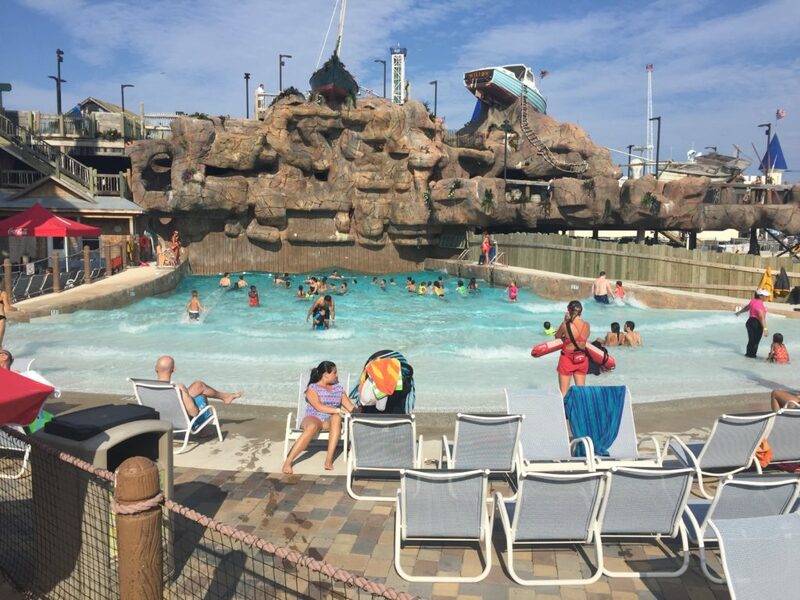 You can also relax in the wave pool and watch some of the rides from the boardwalk. 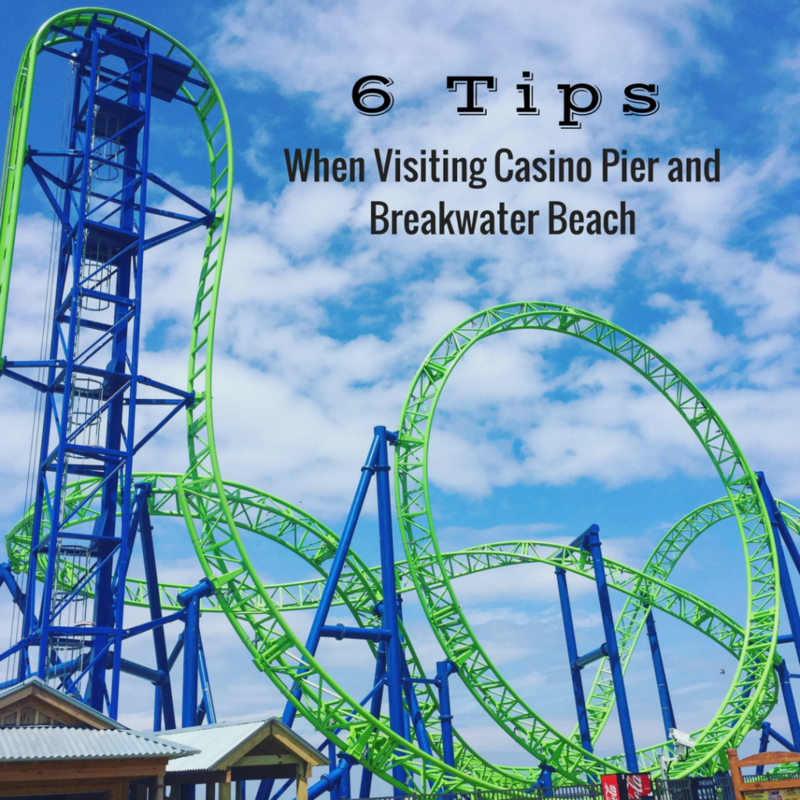 For more information visit Casino Pier on Facebook and Twitter.